Dreams create motivation to plan. This is the scene that caught me today. I drove along I-40 through Arizona this morning, watching my surroundings slowly come into view below a dark pastel-gradiated sky from the blackness of night above to a rich orange where it met the horizon. The miles flew past. 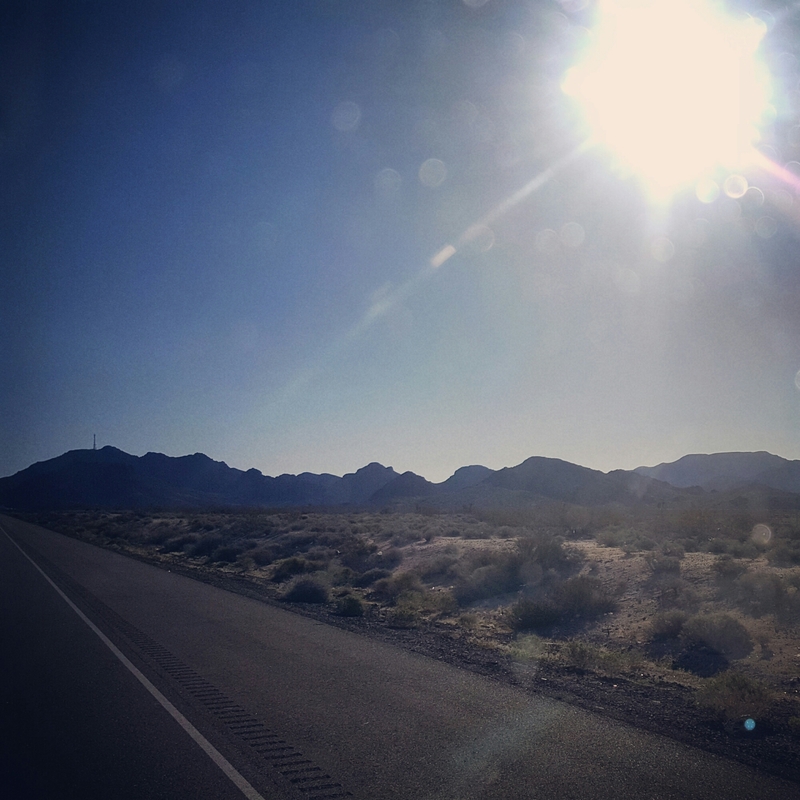 As I left them behind, the more the sky lit up and the warmer the desert sage, sand and distant mountains appeared. I found myself daydreaming about losing myself in that scene – the one right outside my truck window. I’ve worked on lessening my daydreams like this one – not because I want to, because they oftentimes keep me going – but because they can hurt. I mean, to be completely honest with you, it’s literally made me cry at times. 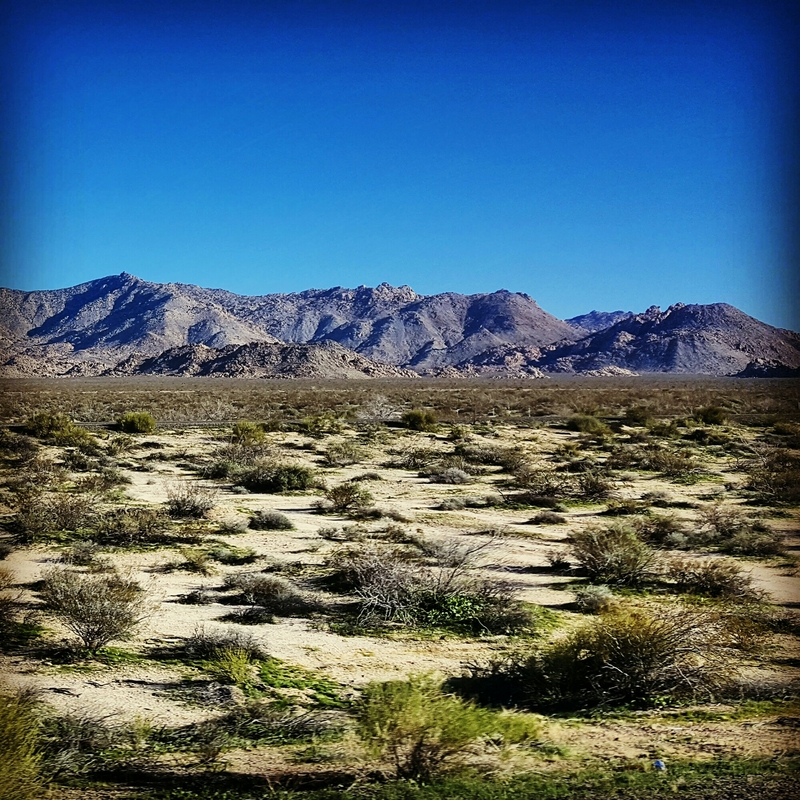 Sometimes I want it so bad – to throw a backpack on and just disappear into that sage brush, heading for those mountains – that I’ll just cry. It’s an emotion that’s not really a bad one just because it brings tears to the surface – I feel fortunate to have them. I have them because I’ve had experiences and adventures that have lit that undying spark in me, and now that spark is easily triggered to ignition by, sometimes, a simple, perfect scene. Like this one. It strikes in just the right way. This time I held back the tears, but the feelings were all there. I could smell the sage, feel the sand shift under each step and the cool morning breeze brush against my cheeks. And the best part? The overwhelmingly beautiful sense of freedom that is impossible to describe. It came over me like a wave, but quickly subsided. There’s only one way to hold on to that magic, and that is to get lost and live in a long walk. Another Arizona scene through a truck window. Mountains be keepin’ me wantin’. My current situation is enjoying a team truck driving career with Adam, whittling away at student loan debt and having a fun time not having to live paycheck to paycheck for the first time ever. But this lifestyle doesn’t really lend itself to extravagant, lovely, super-long, amazing thru-hikes. And as much as I miss it, as often as it can hurt to dream about (in such a good way), and how badly I want to run off and just frickin’ do it while ignoring all consequences – it’s just that (for now) – a dream. I’ve had dreams before, though. To hike across the country. To run a marathon. To finish the Frozen Otter. To be free of credit card debt. 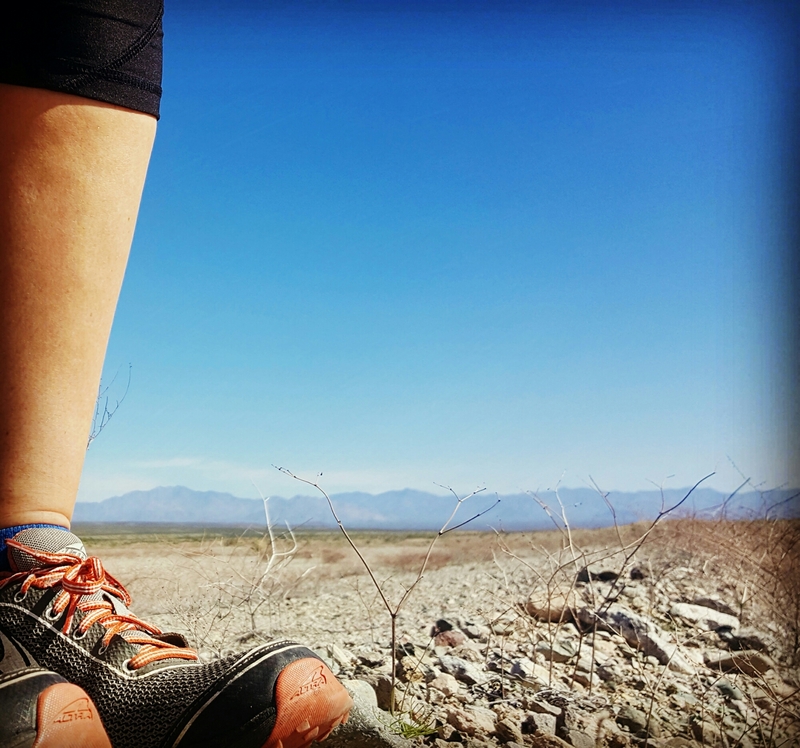 To thru-hike the PCT. And guess what? Dreams create motivation to plan. And those dreams I just listed? They all came to life. So I’ll never stop. They’ll eventually happen if I keep it alive long enough. So… Now what, then? Well, a compromise. I can’t run off for six months for a long thru-hike, but I can take time off for a shorter one. And that’s exactly what I’m going to do. All my daydreaming is motivating me to start planning my next backpacking trip. It’ll be this summer. Adam and I will road trip in our PJ2, the Subie, and enjoy our time together. Then I’ll hike for several days and we’ll road trip back home. The Wonderland Trail. A 93-mile loop that circumnavigates Mt. Ranier in Washington state. This trail has been high on my wish list for years, and the time is now. Adam is going to help me make it happen and be a part of it, too. What else could I ask for!? So with a backpacking trip in the works, I can drive past these beautiful mountains, prairies, deserts, and even cross over some long trails (I swear I can feel a pull when I drive past them! ), without feeling too much sadness and want. It’s just enough to make me experience that love, that heartbreak, that want – and smile. I think that’s why I was able to hold back the tears today. But seriously, I still want to just frickin’ do it! But I won’t. Maybe. Went for a run and never came back. But I did. This time. Tonight I love blueberries. They were the last thing I ate today, and they were amazing.